Windows Explorer Tracker is used to trace/monitor and record the operations for Windows automatically, such as 'Delete', 'Rename', 'Create', 'Insert', 'Add' and 'Remove' actions of files, folders, drives and storage media, you can also use it to track and record operations on remote host via the mapped network drives. It logs the original operations in some .log files, and names them by date so as to manage them conveniently. You can quickly load the history logs by specifying the start and end date on its main interface, manage the log files in Windows Explorer, find the specific operations and permanently delete history operations in log files. At last, you can set the display format of operation date and time on the Options interface. As above, if you need to retrace the Windows steps on a regular basis might find it useful. The main interface: displays/queries the history activity of Windows. Options interface: set the display format of operation date and time. Detail View interface: views current logs one by one. About Windows Explorer Tracker interface: displays program information, version number and copyright. In case you are sharing your computer with other users or you notice folders and files modifications you do not remember making, then you could need a tool that allows you to track the actions performed on the hard disk. Windows Explorer Tracker is a utility designed to record the activity on all drives along with the dates and names of the completed actions. Regardless of whether you create, rename, insert a new file or delete a certain folder accidentally, you can find all the information related to it within the program's history log. In addition to tracking the action, the app also records the date and time it was finished. Consequentially, there would not be any shadow of a doubt regarding who made modifications and what operations were carried out. This applies to your local drives, LAN and other remote storage devices mapped. A noteworthy feature is that the utility allows you to specify a certain time frame for recording. The recorded operations are displayed in an uncluttered and simple interface. Although some users would prefer a sleeker UI, the design fits the role and function of the tracking application. Despite Windows Explorer Tracker's minimalistic appearance, you can find detailed data regarding the action, meaning date, hour, object, path as well as the original and new name for files that have been renamed. Whenever you need to check out an action on your local drives, you can access the Manage Log File function and open the log history. The latter contains a detailed chronological record of the actions completed. In general, it is enough to know an approximate date and hour when an operation was carried out in order to find out more about a certain action. Once you find it, you can check out the details, modify it or permanently delete it from the history logs. If you want to be up to date regarding the actions performed on your computer, then Windows Explorer Tracker can be a useful app to consider. If you want to monitor the activity in your hard drive regarding operations such as creation and deletion of files and folders, try Windows Explorer Tracker. It is an application for Windows that lets you monitor and automatically record operations done in Windows, such as Delete, Rename, Create, Insert, Add and Remove action of files and folders. Other that that, it also detects and stores the date and time when a USB flash drive was inserted or removed from the system. Windows Explorer Tracker can also be used to track and record operations on remote host via the mapped network drives. The date and time information is stored in log files which are named according to date for easy retrieval. Keep reading to find out more about Windows Explorer Tracker. The application has easy-access buttons at the top, while the information about Delete, Rename, Create, Insert, Add and Remove actions appear below it. You can search for the history logs by specifying the start and end date on the main interface, and manage the log files in Windows Explorer. Moreover, you can find the data on specific operations and permanently delete history operations in log files. Clicking the Manage Log Files button takes you to the folder where all the log files are automatically saved by the application. Click the Options button to specify the Display Format. You can change settings, such as Sequence, Separator, Format, Month, Day etc for specifying the display format for Date and Time. If your organization relies on tracking which people or program does what to data, you absolutely need to know about today’s discount software promotion, Windows Explorer Tracker! It’s the perfect tool for creating an audit trail and reinforcing accountability in your company. Windows Explorer Tracker lets you track and record file operations in Windows, including deletion, renaming, creation, and more. With Windows Explorer Tracker, you’ll be able to monitor what happens to files stored folders, drives, and on storage media, plus have the ability to quickly load history logs. Need to investigate the evolution of a particular file folder over time? Just use Windows Explorer Tracker to save operations by date to conveniently build a timeline. Not only that, but Windows Explorer Tracker also allows you to enter the start and end date of a particular time window to see everything that happened under Windows Explorer during that period. Se siete alla ricerca di un buon sistema mediante cui tenere traccia dell'attività del disco rigido ma, al momento, non avete ancora trovato ciò che fa al caso vostro allora, cari lettori di Geekissimo, potreste prendere in considerazione l'idea di dare uno sguardo a Windows Explorer Tracker. Di che cosa si tratta? Scopriamolo subito! Windows Explorer Tracker è un software completamente gratuito ed utilizzabile senza alcun tipo di problema su tutti i sistemi operativi Windows (sia a 32-bit sia a 64-bit) che, una volta in uso, consentirà di monitorare e registrare automaticamente tutte le varie ed eventuali operazioni eseguite in Windows come, ad esempio, eliminare, rinominare e creare file e cartelle, indicando inoltre la data e l'ora in cui eventuali unità flash USB sono state collegate al computer. Oltre a permettere di eseguire tutto quanto appena accennato l'applicativo entrerà in azione anche andando a monitorare e registrare le operazioni effettuate su host remoto mediante mappatura della rete. La data e l'orario facenti riferimento a tutte le varie attività registrare dall'applicativo verranno salvate in un apposito file di log a cui sarà possibile accedere direttamente dalla finestra di Windows Explorer Tracker. Le attività registrare da Windows Explorer Tracker risulteranno facilmente visualizzabili dalla sezione presente nella parte inferiore della finestra del software mentre la ricerca di quanto d'interesse e tutte le varie altre operazioni precedentemente elencate potranno essere effettuate sfruttando gli appositi comandi annessi alla parte superiore della finestra, così com'è anche possibile notare dando uno sguardo allo screenshot illustrativo annesso all'inizio di questo post. If you are looking for a good system by which to keep track of the hard drive but, for now, have not yet found what is right for you then, dear readers of Macworld, you might consider the idea of giving a look at Windows Explorer Tracker. What is this? Let's find out now! Windows Explorer Tracker is used without any problems on all Windows operating systems (both 32-bit and 64-bit), once used, will automatically monitor and record all the different and any transactions executed as Windows Explorer, for example, delete, rename and create files and folders, also indicating the date and time when any USB flash drives were connected to the computer. As well as allowing you to do everything just mentioned, the application goes into action also going to monitor and record operations on remote host by mapping the network. The date and time referring to all the different activities recorded by the application will be saved in a log file which can be accessed directly from the Windows Explorer Tracker. The activity record from Windows Explorer Tracker will be easily viewable from the section at the bottom of the window of the software while the search for what interest and any number of other actions listed above can be made using the appropriate commands attached to the top of the window, as it is also possible to see by taking a look at the screenshot attached illustrating the beginning of this post. Saber o que a nossa máquina anda a fazer nem sempre é simples. Existem diversos processos a correr de forma autónoma que acedem, alteram e eliminam ficheiros, como parte da sua função. Saber dessas acções, bem como das que os utilizadores fazem, é importante para a gestão das máquinas e de todos os sistemas. Para termos um olho atento nessas acções podem usar o Windows Explorer Tracker. Esta pequena aplicação permite terem acesso ao histórico de gestão de ficheiros na vossa máquina. Conseguem saber facilmente que ficheiros foram eliminados, criados ou movimentados. Se pretenderem ver informação relativa a ficheiros que estejam em pastas partilhadas por outra máquina podem também usar o Windows Explorer Tracker, bastando que a adicionem na sua interface. Mas para além de vos dar acesso à informação do que se passou nos últimos momentos, o Windows Explorer Tracker consegue mostra-vos dados recolhidos no passado. Conseguem assim ver dados no passado e acompanhar processos que necessitem de averiguar. A informação que o Windows Explorer Tracker apresenta está toda concentrada na sua interface, permitindo que vejam directamente o que se tem estado a passar no vosso disco. Podem ver aí a data da acção, o tipo de objecto (ficheiro ou pasta), a acção (remoção, movimentação, renomeação ou criação) e o nome e localização do ficheiro. Caso a acção executada tenha sido uma renomeação, podem ainda ver o nome novo do ficheiro. Esta informação está também na interface do Windows Explorer Tracker. Caso cliquem numa das entradas apresentadas pelo Windows Explorer Tracker podem ver com grande detalhe a acção que foi tomada. Esta informação é apresentada numa nova janela. Toda a informação apresentada pelo Windows Explorer Tracker é referente ao dia actual, mas se pretenderem ver acções que ocorreram no passado podem facilmente usar a interface deste para indicarem o intervalo de datas pretendido. Notem que devem ser datas nas quais o Windows Explorer Tracker tenha estado a ser executado. As configurações do Windows Explorer Tracker permitem apenas que definam o formato da data a ser apresentado. A informação apresentada é actualizada em intervalos regulares, não sendo no entanto mostrada em tempo real. A cadência dos dados não é configurável, mas é frequente a sua actualização. Esta ferramenta permite fazerem a gestão mais facilitada de ficheiros nos vossos sistemas, tendo acesso rápido às acções que foram tomadas sobre estes. Conseguem saber facilmente quais os ficheiros criados em determinadas datas ou em determinados locais. É extremamente útil e simples de usar. Basta deixa-la a correr para que ela recolha dados para posterior análise. Os dados são recolhidos e mostrados de forma simples e sem quaisquer complicações. If you want to monitor and record all activities on a computer you might install a keylogger or a spying tool that secretly records emails, passwords and mouse clicks. But if you want to keep track of what's happening on Windows, and for legitimate purpose, you don't have much choice. Windows Explorer Tracker is great tool for the job. This software utility records all operations such as Delete, Rename, Create, Insert, Cut, Copy and Paste actions performed on files and folders on drives and storage media. The result is automatically saved on a .log file under the user's directory. For as long as the program is running, it will continue to log Explorer activity and append it to the log file. The log is visible from within the program. You can also open it using any text editor or specialized log file viewers since the log can grow exceedingly long. Customization options are limited – you can adjust some of the display parameters and time format. On the viewer there is an option to filter the data by time period/date. Personally, I would have liked to tell the program where to save the log files. Overall, a nice and simple utility for system administrators to monitor file activity on a network or home computer. When you use Windows, performing file operations become second nature. Copy or delete a file and thinking nothing of it, carry on with your tasks. The problem arises when the file or folder you might be looking for isn't where you thought it was. Perhaps you renamed it, moved it or accidentally deleted it. Maybe another person who also uses your computer like a relative has unwittingly done something with it. A useful little utility to have around is Windows Explorer Tracker. What it does as the name suggests, is monitor a number of file operations in Windows, displays them in its window and records them in a log file. Things like deleting, renaming and creating files and folders is actively watched so you can go back and see what actions have been taking place. Click here to read the full review of Raymond.CC. Knowing what our machine is doing is not always simple. There are several processes running independently that access, modify and remove files as part of its function. Knowing these measures, and that the users do, it is important for the management of all machines and systems. To have an eye on these actions can use Windows Explorer Tracker. This little application lets you have access to the history file management on your machine. Can easily know what files were deleted, created or moved. If you wish to view information on files in folders that are shared by another machine can also use Windows Explorer Tracker, just add that in its interface. But in addition to giving you access to information about what happened in the last moments, Windows Explorer Tracker can show you data collected in the past. Can you see well in the past data and monitor processes that need to find out. The information that has Windows Explorer Tracker is all concentrated in the interface, allowing them to see directly what has been going on your disk. You can see there the date of the action, the type of object (file or folder), action (removal, moving, renaming or creation) and the name and location of the file. If the action taken has been a renaming can still see the new name of the file. This information is also at the interface of Windows Explorer Tracker. If you click on one of the entries displayed by Windows Explorer Tracker can see in great detail the action that was taken. This information is presented in a new window. All information displayed by Windows Explorer Tracker is related to the present day, but if they want to see actions that occurred in the past can easily use this interface to indicate the date range you want. Note that dates should be in Windows Explorer Tracker which has been run. The settings of Windows Explorer Tracker only allow to define the date format to be presented. The information displayed is updated at regular intervals, but not being shown in real time. The cadence of the data is not configurable, but often it is updated. This tool allows you to make easier the management of files in your systems, and quick access to actions that were taken on these. Can easily know what files created on certain dates or at certain locations. It is extremely useful and simple to use. Just leave it running for it to collect data for later analysis. Data are collected and displayed in a simple way and without any complications. We here at Ghacks Technology News have reviewed several applications in the past that allow you to monitor specific areas of the operating system. SpyMe Tools for instance lets you monitor the installation process of a software, while Reg from App and What Changed keep an eye on the system's Registry. Windows Explorer Tracker concentrates on file operations on the system, and while that may look inferior to a program like SpyMe Tools which monitors Registry and file system changes during program installations, it is not limited to installations. After you have installed and started the program for the first time you will notice that it picks up file system changes automatically. On my system, it picked up how its own installation process added the program to the startup folder of the system, which allowed me to delete the entry by opening the folder in Windows so that it would not start with every system start. Windows Activity monitors all delete, rename, create, insert, add, move, copy and remove operations in Windows of the logged in user and the system. This means that you will get a list of all file system changes an installer makes on the system, and as you have seen above, this can be quite useful to react immediately if something gets changed or added that you do not want. You can use the time filter located in the main toolbar or under options to filter for file system changes that have happened during a specific time frame. All log files are saved to the hard drive so that they can be opened at a later time even if the program is not available, or if a standard text editor and the editing options it offers are preferred. The program can only be used for monitoring, and not for restoring changes. This means that while you may get information about a process, for instance a file deletion, you may not be able to resolve it unless you have a backup available to do so. Another feature that is missing is to filter the log by file name, path or action. While you can sort the table accordingly, it would be more comfortable if you could only display relevant items in it to begin with. Windows Explorer is the file manager in Windows which allows you to manage all the files and has options to move or copy files to multiple folders and destinations. But one thing missing in Explorer is the ability to track all the activities like cut, copy, paste or move or delete. Windows Explorer Tracker is a desktop app for Windows which allows users to keep track of all the activities or operations done in Windows. It can track 'Delete', 'Rename', 'Create', 'Insert', 'Add' and 'Remove' actions of files, folders, drives and storage media, you can also use it to track and record operations on remote host via the mapped network drives. The apps tracks all the actions and provides the detailed info the action performed, the path, the time stamp and other details. You can easily get the history of all the actions from the logs by specifying the start and end date on its main interface, manage the log files in Windows Explorer, find the specific operations and permanently delete history operations in log files. 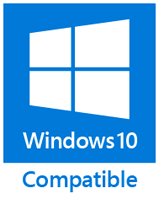 The app is supported on Windows 8 and also lower versions like Windows XP, Vista and Windows 7. Nel sistema operativo Windows, Windows Explorer può essere considerato un vero e proprio file manager. Ovvero un programma o funzionalità che permette di gestire tutti i file, spostarli, eliminarli, rinominarli, visualizzare i dettagli, e via discorrendo. Una mancanza, da sempre, in Windows Explorer in Windows è la capacità di poter tenere traccia di tutte le operazioni eseguite, recentemente o meno. Per esempio il tagliare file, copiare, incollare, annullare le operazioni appena citate e quant'altro ancora di simile. Windows Explorer Tracker è un programma molto utile, che permette agli utenti di poter tracciare tutte le attività e operazioni eseguite in Windows Explorer. Possibile tenere traccia di "elimina", "rinomina", "crea", "inserisci", aggiungi" e "rimuovi. Quindi azioni sui file, cartelle, unità e supporti di archiviazione. Si può, per i più esperti, tenere traccia e registrare le operazioni su un host remoto attraverso le unità di rete mappate. Windows Explorer Tracker traccia tutte le azioni e fornisce informazioni dettagliate per ogni azioni eseguita. Il percorso, l'ora, l'azione, nome, nuovo nome e altri dettagli come è possibile vedere dallo screenshot qui sopra. Windows Explorer Tracker supporta Windows 7 e Windows 8. Ma anche versioni meno recenti come Vista e Windows Xp. L'applicazione è gratuita. Windows Explorer Tracker automatically keeps track of all file operations in Windows and saves them to a log file. The tracked operations include file and folder deletion, renaming and creation as well as addition and removal of storage media. You can review the logged operations with the provided viewer, sort the data by column and filter entries by date. Windows Explorer Tracker also saves daily log files in text format (.log) in local folder. Windows Explorer Tracker is a handy tool if want to keep an eye on your files, especially if you share your computer with other users. When you need to understand exactly what programs are doing on your PC then tools such as Process Hacker, Process Explorer or Process Monitor will almost certainly get the job done. They're compact, powerful, and an excellent aid for all kinds of troubleshooting tasks. These tools often produce extremely lengthy reports crammed with low-level detail, though, which can be intimidating to some users. And so if you're looking for something more straightforward, you might be interested in Windows Explorer Tracker, as it's the kind of system monitoring tool which just about anyone can use. The program focuses on tracking high-level drive, file and folder-based actions: delete, create, rename, insert, add or remove. Which means there's nothing on file modifications, Registry activities or process actions (launching programs, threads and so on). And as you might guess from its name, Windows Explorer Tracker is primarily about tracking what's happening in Explorer. There's no complexity to it, just launch the program and then watch as your file creates, deletes and so on are listed in a table (though they're also saved to log files for easy reference later). In our tests we found Windows Explorer Tracker did record details from some other programs, though, as they worked with temporary files, saved test images and more. And it also successfully recorded the actions of some (though not all) installation programs, handy if you'd like a better idea of what a particular setup tool is doing to your system. For all this, Windows Explorer Tracker still has only a tiny fraction of the power of the big-name system monitors. If you really want to understand what Explorer is doing then there's no substitute for learning how to use something like Process Monitor. If you only need a more basic record of your file and folder-related operations, though, Windows Explorer Tracker certainly delivers, and that could be enough to justify its inclusion in your troubleshooting toolkit. Windows Explorer Tracker is a simple tool for recording many file and folder-based actions you might perform in Explorer, and some programs: delete, create, rename, insert, add or remove. The program is very easy to use. Just launch it, open an Explorer window, create a new file, delete it, and your actions will immediately appear in the Windows Explorer Tracker window. And they're also saved in log files for easy reference later. We found Windows Explorer Tracker also record file-based operations initiated by some programs, or as a part of normal system operations (saving a graphics file, say, or adding a file to the \Windows\Recent folder). The reports don't provide anything like the detail of, say, Process Hacker. Windows Explorer Tracker works at a much higher level, recording only basic file operations, so if you just change settings or launch a program, say, nothing will be listed at all. Still, if you just want to record the file-related operations being carried out on your PC then this is a simple way to do it. Windows Explorer has nothing like as much monitoring power as Process Explorer or Process Monitor. It's small, and easy to use, though, and could be interesting if you need something simple. Windows Explorer is an integral part of Windows operating system and it is available from the first time Microsoft released a GUI based operating system in the world. Windows Explorer performs multiple tasks to keep the system running as well as several tasks that help to keep any application running in Windows. There isn't any special purpose for tracking the Windows operations but you can do it for fun and it can be done easily using Windows Explorer Tracker. Windows Explorer Tracker is a Windows application which allows you to automatically trace/monitor and record your operations on Windows Explorer such as 'Delete', 'Rename', 'Create', 'Insert', 'Add' and 'Remove' actions of files, folders, drives and storage media. You can also use it to track and record operations on remote hosts via the mapped network drives. It would be fun for Windows users but for Windows application developers, it can be very useful information because based on this information, they can check whether their application is working perfectly or not. You can also track detail view of every Windows Explorer operation to get some more useful information. Just choose the operation from the list and click on the Detail View option from the Windows Explorer Tracker application. Apart from live tracking, you can view its previous history logs as well because it saves all the tracking in the log file for later use. To access any history log file quickly, just go to the Logs menu option and click on View History. After that, choose the date range to check history logs for specific dates. You can use this information to track all the previous operations of Windows Explorer like for instance, you can check the deleting operations in your History to confirm if someone has really deleted your files. Similarly you can track any copy operations as well. There are several uses of this application and it completely depends on you as to how you use this information. You can use this application on Windows XP, 7, Vista and Windows 8 (I personally tested it on Windows 8) in both 32-bit and 64-bit of Windows version. Terkadang kamu tidak sadar menghapus suatu file dan ketika kamu mencarinya, kamu bingung dimana kamu meletakkannya. Padahal file tersebut sudah kamu hapus tanpa sengaja. Jika hal ini yang sering terjadi, kamu bisa melacaknya menggunakan aplikasi yang akan PG bahas kali ini yaitu Windows Explorer Tracker. Windows Explorer Tracker adalah aplikasi untuk memantau setiap aktivitas Windows Explorer secara otomatis. Aplikasi ini akan memantau action seperti delete, rename, create, insert, add,dan remove file, folder, drive atau storage. Download dan install terlebih dahulu aplikasi ini, kemudian langsung jalankan. Secara otomatis Windows Explorer Tracker akan menampilkan semua data dalam daftar yang menunjukkan perubahan file sistem. Disana akan terlihat pilihan Today atau History, saat kamu memilih today maka data yang ditampilkan adalah data pada hari ini saja. Tapi jika kamu memilih history, maka kamu bisa melihat data sesuai tanggal awal dan akhir yang sudah kamu tentukan sendiri. Pada bagian atas dari interface terdapat beberapa tombol diantaranya Manage Log Files, Detail View, Options, Homepage, Make Donation dan Exit. Jika kamu ingin menyimpan file log, tinggal klik saja pada tombol "Manage Log Files", maka secara otomatis akan tersimpan pada hard drive. Sehingga kamu bisa membukanya lain waktu. Sedangkan "Detail view" adalah tombol untuk menampilkan salah satu data dengan lebih detail. Tombol "Options" bisa kamu gunakan untuk mengatur display format tanggal dan waktu. Tapi ingat bahwa aplikasi ini hanya berguna untuk melakukan pemantauan saja, bukan untuk memulihkan perubahan, jadi yang bisa kamu lakukan hanyalah mendapatkan informasi proses-proses yang terjadi pada Windows. Jadi sekarang jika kamu ingin memantau apa yang terjadi pada Windows dengan cara yang mudah dan waktu yang cepat, gunakan saja Windows Explorer Tracker. PG sebelumnya juga telah menulis tentang Kiwi Application Monitor yang fungsinya untuk memantau kinerja memori RAM, mungkin aplikasi Kiwi juga bermanfaat buat kamu. Windows Explorer Tracker nos permite hacer un seguimiento de todo lo que hacemos mediante Windows Explorer en Windows 7, Vista o XP. Windows Explorer es el administrador de archivos – carpetas y particiones predeterminado en Windows. Si bien es una aplicación muy fácil de usar esta no cuenta con una función muy importante: seguimiento o historial de todas las tareas que hacemos mediante ese administrador de archivos. Pues… Windows Explorer Tracker es el complemento ideal para el Windows Explorer de Windows. Windows Explorer Tracker nos permite contar con un registro de todas las acciones principales que realizamos en Windows Explorer como son: copiar, pegar, cortar, eliminar, renombrar, crear … , insertar, añadir, remover, etc. Gracias a esta funcionalidad de Windows Explorer Tracker, podemos deshacer acciones recientes, también podemos saber qué hicimos si hemos cometido algún error. Un uso muy práctico para Windows Explorer Tracker es saber si alguien uso nuestro equipo y qué es lo que hizo. Software Applicativo - Scopriamo un programma che ci consente di tenere d'occhio le modifiche a file e cartelle in ambiente Windows. Molto spesso i clienti che seguo mi chiedono come fare per sapere quando è stato cancellato, o modificato, un file da un computer o da un disco di rete condiviso, in modo da sapere chi era in servizio in quel momento. Grazie a Windows Explorer Tracker è possibile monitorare questo genere di cambiamenti, anche su dischi esterni o di rete (purtroppo questa cosa non sono riuscito a verificarla di persona) e registrarli in un file di log. Il programma deve essere installato, ed è scaricabile da questo indirizzo, è gratuito (anche se l'autore accetta donazioni) e funziona su Windows 2000/XP/2003/Vista/7/8, sia a 32 che 64 bit. Tramite il pulsante Manage Log Files è possibile aprire la cartella che contiene i file di log, che in Windows 7 si trova in C:\Users\NomeAccount\AppData\Roaming\TSSI\WET\logs\. Cliccando sulle singole voci si apre un dettaglio più chiaro di cosa è successo. Nelle Options è possibile settare il formato della data e ora con cui saranno registrate le varie modifiche. Una volta avviato, si inserisce in esecuzione automatica in modo da garantire un monitoraggio continuato delle modifiche effettuate. Windows Explorer Tracker vi permetterà di tenere traccia di tutte le operazioni che avvengono sul vostro computer. Dall'appertura di un programma o di un file fino alla ridenominazione o alla cancellazione di immagini, documenti ecc. Verranno dunque registrate tutte le attività normalmente eseguite da Windows Explorer per poi essere rappresentate in modo chiaro e di immediata lettura. Ogni voce registrata sarà preceduta dalla data e dall'ora dell'evento che verrà descritto in modo esaustivo indicando il percorso e l'azione compiuta. Inoltre Windows Explorer Tracker tiene memoria di eventuali chiavette USB inserite nonchè lista dei files eventualmente copiati o utilizzati in tali supporti. Questo tool può tornare particolarmente utile in caso di computer condivisi o quando si vuole tenere scrupolosa traccia delle attività svolte sul proprio computer in caso di assenza. Important: now you can list the history records in any date scope (previous versions can only list the records in current month). Important: supports checking new version (automatically and manually). Important: uses Golden Ratio for the main interface and its start position. Optimized and beautified Options, About interface. Optimized the date pickers for history view (uses the long date format). Optimized software icon (main & About interfaces, and exe icon). Moved all actions which need to run the default email client to the online webpages, in order to avoid the confusion if who has not a default email client. No longer put the autostart shortcut under "Common Startup" menu (replace it with "User Startup" menu), because you cannot decide for others! Supports pressing <Esc>/<Enter> to close About interface. Optimized "Recommend to Friends" function. Changed "Microsoft Internet Explorer" string to "Microsoft Web Browser", because Windows 10 uses Microsoft Edge, for consistency, now calls them as "Microsoft Web Browser". It claims can list the records within a month, but can only display the records in current month. And, the date pickers are hard to use (frequently show prompts and reset to default values). Adjusting columns width when resize. Sorts listing as descending operation time by default. Optimized the performance, interface and documentation. The "Tools -> Map Network Drive..." menu item can not work. I'm using Windows Explorer Tracker, it can track and record the operations in Windows Explorer automatically, such as 'Delete File', 'Create Folder', 'Rename File', and so on. Windows XP/2003/Vista/7/8/8.1/10, 32 & 64-bit both.